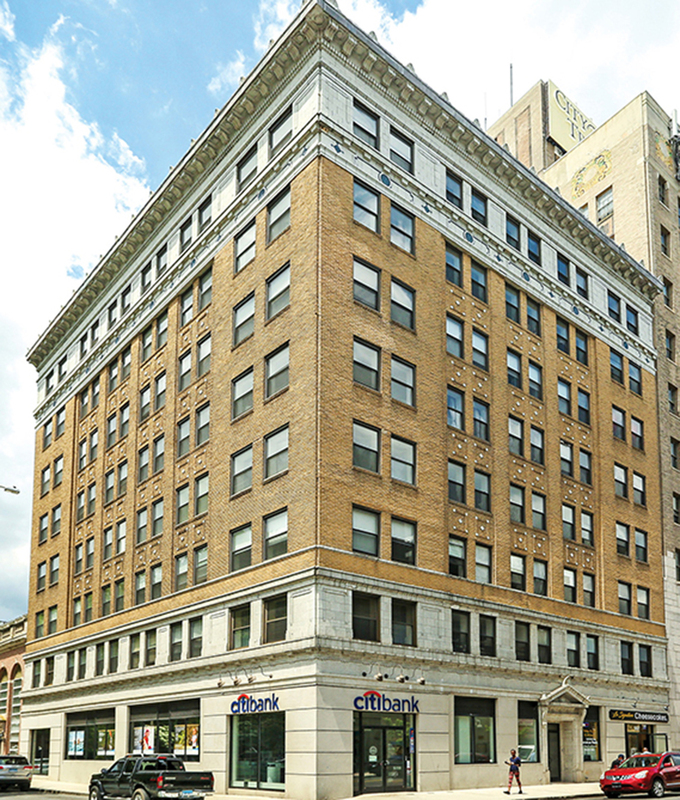 Bridgeport, CT Holliday Fenoglio Fowler, L.P. (HFF) completed the $21.7 million sale of three mixed-use properties totaling 176 apartments and 100,000 s/f of high-street retail and office space in downtown, to New York-based real estate firm, Time Equities Inc. (TEI). The HFF team marketed the property exclusively on behalf of the seller, Ginsburg Development Cos., and procured the buyer, TEI. • City Trust (955 Main St.) is an 11-story building consists of 135,544 s/f. The building is made up of 117 apartments and 43,222 s/f of retail space. Retail tenants at the City Trust building include Citibank and 4 Corner Billiards. • Arcade Mall (1001 Main St.) is a 4-story building consists of 52,355 s/f. The building is made up of 23 apartments and 32,046 s/f of retail space. Retail tenants at the Arcade building include Artstock, Burger Joint, and Boys and Girls Village. • Golden Hill (144 Golden Hill St.) is an 8-story building consists of 51,194 s/f. The building is made up of 36 apartments and 22,751 s/f of retail space. The HFF investment advisory team representing the seller included Stephen Simonelli, Jose Cruz, Michael Oliver, Kevin O’Hearn, Steven Rutman and JB Bruno, along with Dana Brome. The TEI acquisition and asset management team led by Max Pastor and Brian Soto spearheaded the transaction for TEI. “We are excited about the opportunity to expand upon the work of previous ownership and improve the properties by activating the vacant retail spaces, providing a more complete mixed-use development for our residents as well as the entire Bridgeport community,” said Brian Soto, director of acquisitions and asset management at Time Equities.